Make up – is less more and how young is too young? My five year daughter, is a complete girly girl. She loves everything pink, sparkly, glittery, princesses, fluffy, purple, cute; you get the picture. She has very clear ideas about what she likes when it comes to what she will wear and will not budge from these, unless she absolutely has to. Even when it comes to her school uniform she will NOT wear a summer gingham dress unless it looks “pretty”; she HATES wearing her navy blue pinafore during the winter term. 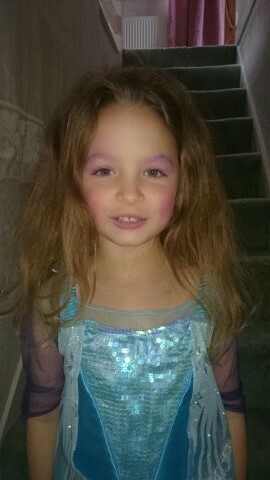 If this is not even enough, she now has discovered make up! I am not sure when she started watching me when I was putting mine on in the morning, but I remember the first time she asked me “why do you have to wear make up mummy?” – I was driving at the time, so I could not give her my complete attention but I tried. Sitting in the passenger seat was my then 17 year old step-daughter who is a complete mirror looks obsessed teenager, and who does not go out without make up on, EVER! I told my daughter that you don’t HAVE to wear make up, but I liked wearing it and that it had become something I did every morning. That was that, or so I thought! Then a relative very kindly bought my daughter a childs play make up set for her birthday. Fabulous NOT! So now I had to not only answer questions and try to field question after question about why this and why that, I now also had to deal with her walking down the stairs grinning as she had “just done her make up”…..by this she looked like a psychedelic maniac clown. It wasn’t long until she wanted to put it on every day, until she wanted to put lipstick on before leaving the house and then the straw that broke the camels back……it wasn’t long until she started playing with MY make up!!!!! That was it, I knew I had to do something to try to douse the flames of this obsession before it grew to big. It was during the Easter holidays I chose to do this project….to wear NO MAKE UP AT ALL! To anyone reading this who has blond eyelashes, you may appreciate that this is difficult to do. I think that I look like I have piggy eyes when I don’t wear mascara, but I had to do it. Advanced warning and apologies for the following photo…..I am wearing NO MAKE UP! 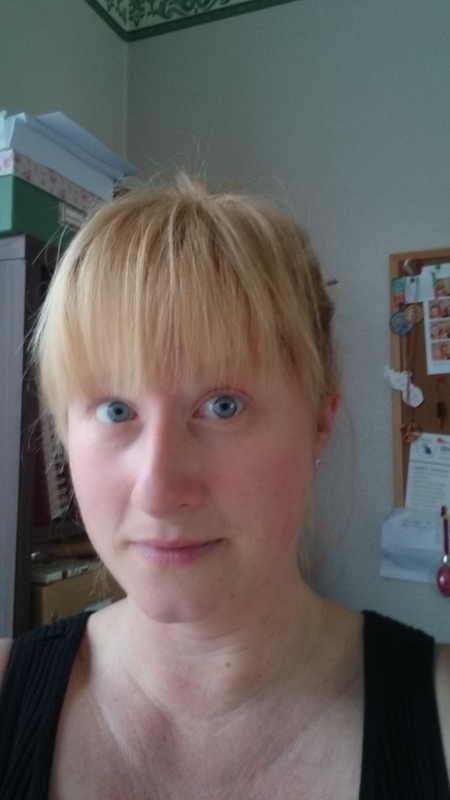 Me without make up – I am sorry! So without advertising my little project one day I just didn’t wear make up, and to my surprise she didn’t notice. In fact it took her three days….?!?!?!?! I was noticing. I’d forgotten how quickly I could get ready, I was noticing how nice and clean my skin felt, and I also realised that no one else really cared if I wore make up or not. My daughter noticed on day four when she was in the kitchen helping me make bread. She looked closely at me and asked why I didn’t have any mascara on. I replied that I didn’t want to wear any. I then asked her “Is mummy prettier with or without make up?” Her answer…..”You are pretty both ways mummy”. Since then I have worn the absolute minimum of make up. Below are photos of what I have worn up until recently…. 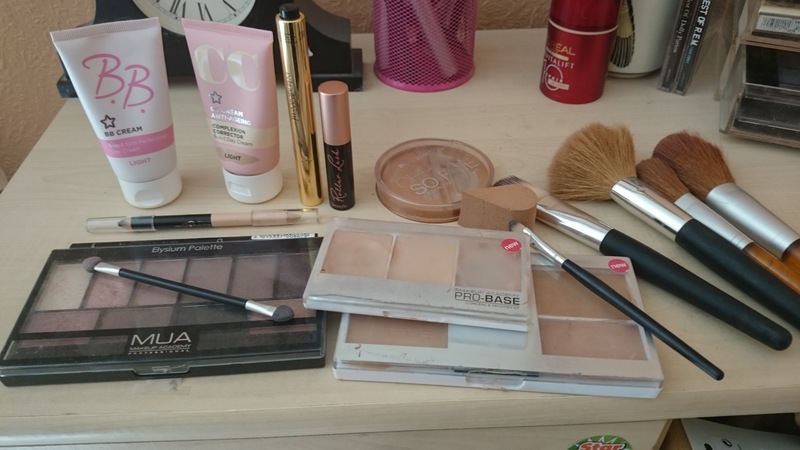 Now…..or since then I have been wearing only tinted moisturiser and mascara, sorry I can’t do without mascara! 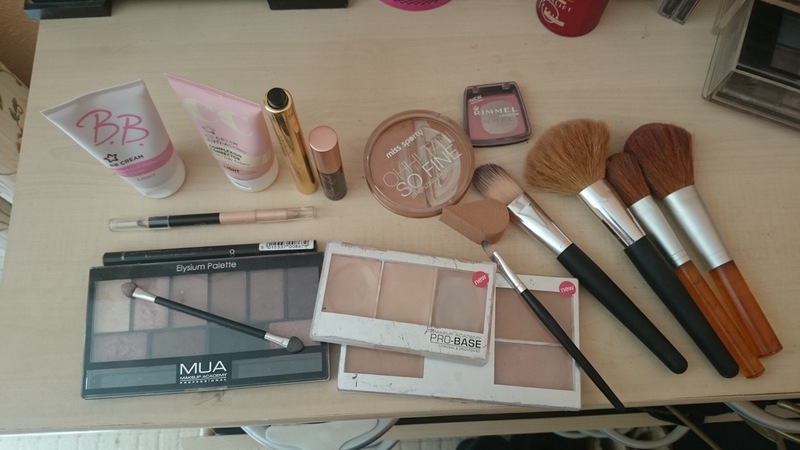 But I have noticed that my daughter hasn’t once asked for her make up, or for any to be put on her at all. So, is she only interested with make up because Mummy is? I believe so and although there is nothing wrong with wearing as much make up as you want – everyone is different; there are no rules – I do think that a five year old who is slightly obsessed with it and putting it on is a step too far. And so I am going to endeavour to keep it to a minimum for a while for both of our sakes!